* Settled Nucleus CMS and RSS for publish daily opinion. * Settled Nucleus CMS and RSS for publish daily opinion. Re-designed at 2011. * Settled Nucleus CMS and RSS for publish daily opinion. Re-designed at 2007. 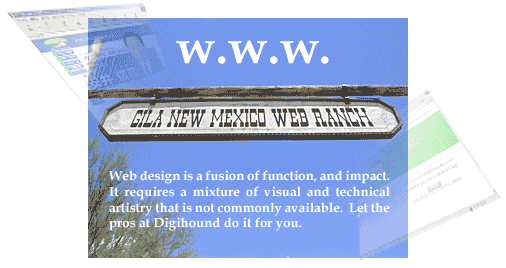 * Now parking the domain under digihound web site. We aren't abandon the web until clean end. Kimiyo Ohkuchi - Kimonos created from natural vegetable dyes and hand woven silk. * We volunteer this web site to create and update. That series of prize are discontinued then we hold the web site in our web site as example or history. * Switachable design by day or night. * We are not only made web site design but also made entire visual menu with text. Tachibana Law Office- Dot pro domain name for lawyers' office. Franchise company of the nursing homes. Otogi-zoshi Landing page- top web page for the nursing homes. nursing home "Otogi-Zoshi Komaki Horinouchi"
nursing home "Otogi-Zoshi Komaki Fujishima"
* Few examples listed above. We made a lot of web sites. The American law requires barrier free by Section 508 since 2001. Our web products are WAI AAA passed with modern graphic designs. It is very tight regulation but we trying hard for normalized world. At Japanese side, we clearing JIS which Japanese version 508 law. In the beginning bandwidth concerns meant simple pages and small graphics were requirements for fast pages. Demands for faster service and multi-media content as Internet use exploded made 2000 the beginning of the "WebTone" era with the availability of ADSL and Fast Fiber services. Today these broadband services are widely used but this has not ended the demand for pages and sites designed to load in a few seconds. The best portal sites complete loading in ten seconds at low ADSL speeds. Making content-rich sites load quickly is not a job for amateurs. Dynamic content like Flash animations require the use of many expensive and complex applications as well as experience with story writing, software operation, programming, and system administration. Journalisim, art, marketing, and project management are all part of creating today's leading edge websites. Putting a team to create first class websites takes time and money. Let our experienced staff do it for you. It will cost less, happen faster and because of our experience, work better than trying to assemble your own staff. We are keep running with our lot of empiricially knowledge and skills to always create our best web sites. Consulting - What does your business need? Corporate Web Hosting for as little as $200/month - Self administration $25/mo - Ask us how! Need PDA or Cell phone connection for business communication? We have products to provide such services from modest computers that you probably already own. You can use your rented virtual server more than a web server. Database, blog, knowledge sharing system etc, etc... Cloud computing will be in your hand. Copyright © 2002 - 2009 DIGIHOUND L.L.C. All rights reserved.